If you didn’t finish high school, and are now finding your opportunities limited for lack of a diploma, the best way to remedy that is to earn a General Educational Development, or GED. 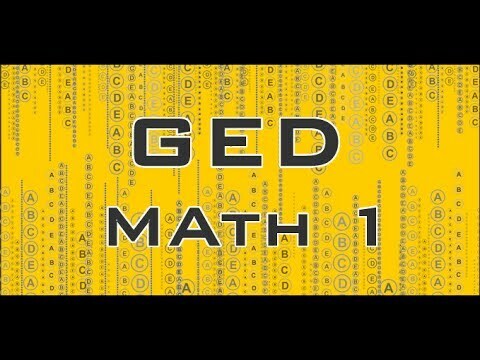 Almost a million people a year earn a GED, and it’s accepted as equal to a high school diploma by almost all companies and colleges in the country. And once you’ve gotten a GED, if you decide to go to college, you’re eligible for just as much government financial aid as any high school graduate. The test itself covers five areas-math, reading, writing, social studies, and science, which are the main subjects high school students take. Of course, you won’t be expected to know as much about these subjects as high school graduates. Test scores range from 200-800, and you’ll need to score an average of 450 to earn your diploma in most states. 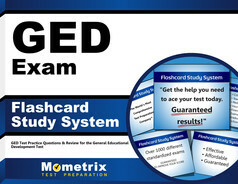 You’ll have to write a short essay to demonstrate your vocabulary and grammar skills, but all the other portions of the GED test are multiple choice. You’ll want to be well rested when you take it, as it will take you all day to complete the test. How you get your scores will depend on what state you take the test in. 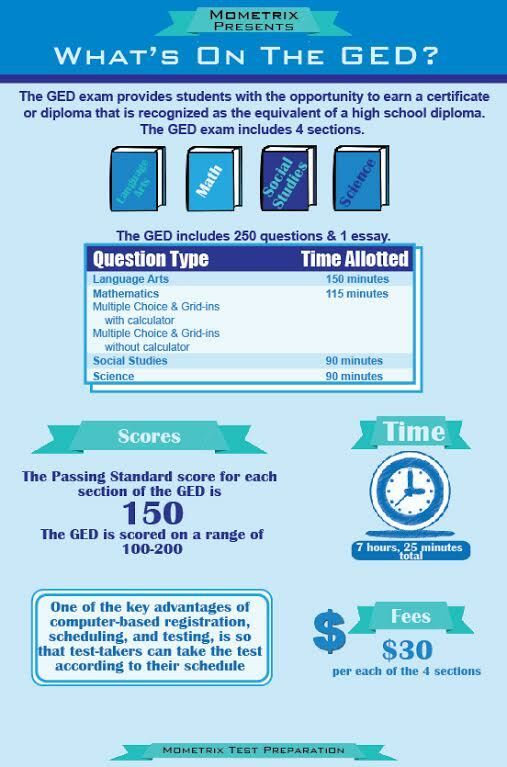 If you’re thinking of taking the GED, you’ll want to contact by phone or online your state’s department of education to find out dates, locations, and costs. Your local community college might have the information, also. 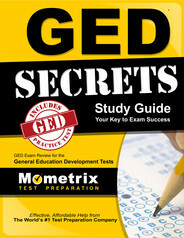 If you’ve been out of school for a while, you should certainly consider purchasing a good study guide before taking your GED test. It can be the difference between passing and failing. Any determined person can earn a GED, and doing so can open up a whole new world of previously unavailable opportunities.